This January, Andy C returns to XOYO as the 21st quarterly resident (the first time they’ve ever invited a resident back). The news was revealed last week, and tickets for the opening and closing parties, where Andy will play all night, apparently sold out in less than one minute, with all subsequent dates now sold out too. Andy recently revealed the line-up of special guest DJs and MCs for the new residency, featuring some of the cream of D&B talent – from legends to current heroes, and the future of the scene. 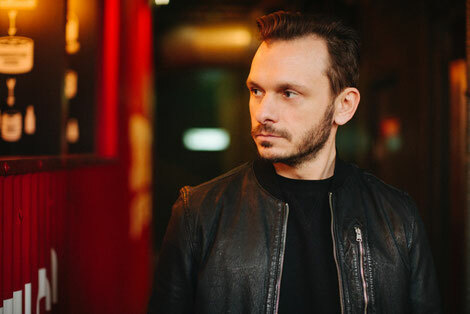 This new run follows the huge success of Andy C’s 2017 residency, which apparently saw fans travel to London from across the UK, Europe, and as far as the USA. Playing every Friday from 4 January until 29 March, Andy C will take over XOYO’s DJ booth at the recently renovated club. XOYO is where Andy goes back to basics, to nurture the type of intimate London club culture where he cut his teeth. The capital is where he had his very first residency at the age of 16 at Telepathy; it was London where he went on to hold the longest ever running residency at The End, as well as clubs Matter and Fabric, where he played his first all night event. Andy C’s 2017 residency represented the entire spectrum of D&B under XOYO’s roof, attracting multiple generations for an intimate, sweaty affair over 13 consecutive Fridays. The residency saw Andy play with some of the biggest and best in the scene, from his own heroes, to peers, new talent, and beyond. Since then, Andy has continued to see his career grow. November 2018 saw him play his biggest UK headline show to date, SSE Arena Wembley. The event, Wembley’s Arena’s first ever all night licence, sold out in 3 days, and saw 12,500 fans come together under one roof, for one DJ (Andy is only the second electronic artist to headline the venue). Now entering its 6th year, the XOYO residency series has seen the likes of Eats Everything, Bicep, Erol Alkan, Simian Mobile Disco, Benji B, Skream, Motor City Drum Ensemble, Flava D, Hunee, The Black Madonna, and, of course, Andy C hold the 3-month residency.